‘She was trying to capture the wild – the essence of leaf, flower and bird.’ Jen, the protagonist of Inga Simpson’s book, ‘Nest’ is an artist, a drawer of birds. After a relationship breakup and her mother’s death, Jen returns to the town she grew up in. There, she regenerates her patch of land and draws the many birds attracted by her birdbath. Jen leads an isolated life. With the exception of her young pupil Henry, who she is teaching to draw, she has little social contact. It is through Henry that she learns a girl from the town has gone missing. The loss of Caitlin brings back memories from Jen’s past and another missing child, Michael. The mystery of the missing children provides a dark undercurrent to Jen’s simple life on her property. As we get to know Jen we learn more about the hurts she is holding inside. Returning home requires her to come to terms with her own history, in particular the disappearance of her father. Revelations fall one on top of the other as the story unfolds. 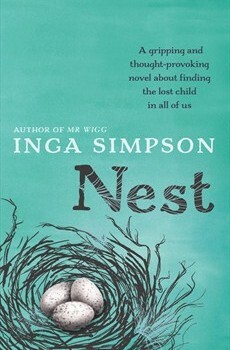 Like Inga’s previous novel, ‘Mr Wigg’, ‘Nest’ is a gently told book, written in simple, evocative prose. Despite the missing children, it is optimistic and full of a childlike sense of wonder at our world. The story plays out at a steady pace with the lost children adding a page-turning backbone. Reading ‘Nest’ left me with a hankering to curl up a tree and have the wind blow me to sleep. 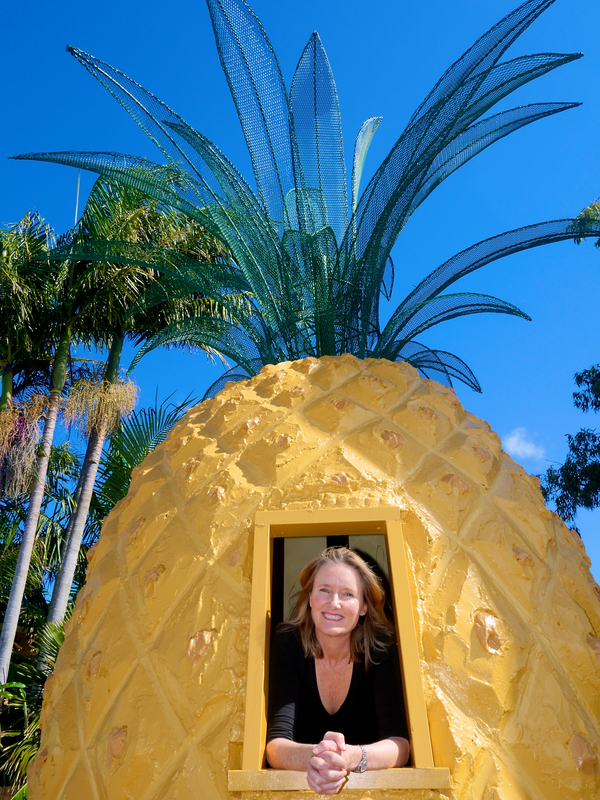 Inga Simpson will be appearing at the Byron Bay Writers Festival this weekend. Read more about Inga here. This is my fourth review for the Australian Women Writers Challenge 2014. 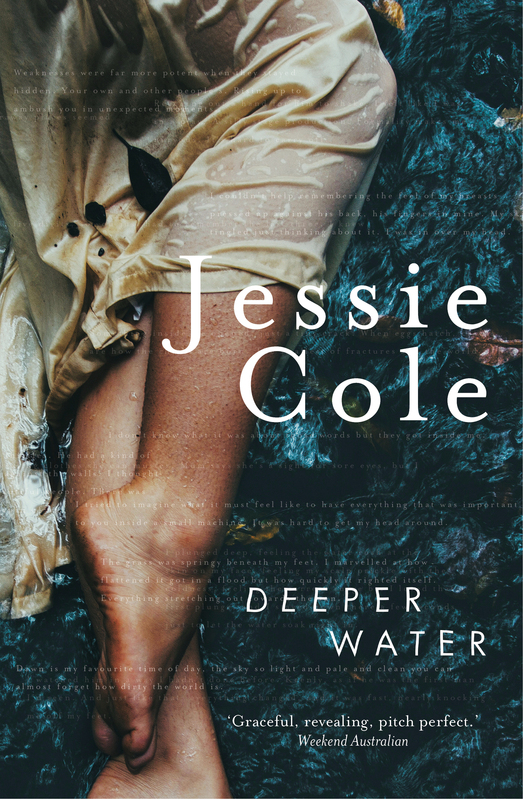 ‘They say every hero has to leave home, but what those first steps are like I’m yet to know,’ reads the first line of Jessie Cole’s second novel, ‘Deeper Water’. Jessie draws us at once into the distinct and unusual world of her protagonist, Mema. Already we can intuit that this is a novel about awakening. Mema lives with her mother in an isolated valley in northern New South Wales – a place of green hills and flooding creeks. Home schooled and naive for her age, Mema has an almost pagan attachment to her land, to the creek that runs through it and the animals –native, feral and domestic – which it supports. Men are always passing through Mema’s world, only the women stay. Her four brothers and various fathers are long since gone, swallowed up by the wider world. But when she rescues a stranger whose car has been washed off a bridge, just like that everything changes. Even though the stranger, Hamish, is the most ‘passing through’ of men he captures Mema’s interest. A tentative longing builds for Hamish and what he represents – the outside world. Despite the beauty of Mema’s creek-side home, it is no rural idyll. Their local town has an ugly side and the ‘knowns and the unknowns’ in Mema’s past form a darker undercurrent to the story. Mema’s relationship with Anja, a wild girl who grew up sleeping in a tree hollow, also adds tension. Threatened by the addition of Hamish to their tight friendship, Anja creates ripples that spread in unpredictable directions. The writing is candid about the pain of first love and longing. But this is not only a story about sexual awakening; ‘Deeper Water’ also explores environmental themes with a light-handed touch. Hamish, an environmental consultant, clashes with Mema over his views on cats and cane toads. Gender relationships are also questioned – when seeing Anja, Hamish comments on her beauty. But Anja is many things, Mema thinks, and beautiful is only one of them. ‘Deeper Water’ is a sensuous portrayal of what happens when innocent desire clashes with the hardened edges of the wider world. Mema will linger in your mind for some time after you close the pages. ‘Deeper Water’ will be launched at the Byron Bay Writers Festival this Friday. Read more about Jessie here. Last week I had a whirlwind trip to Singapore and back and my head is still spinning. 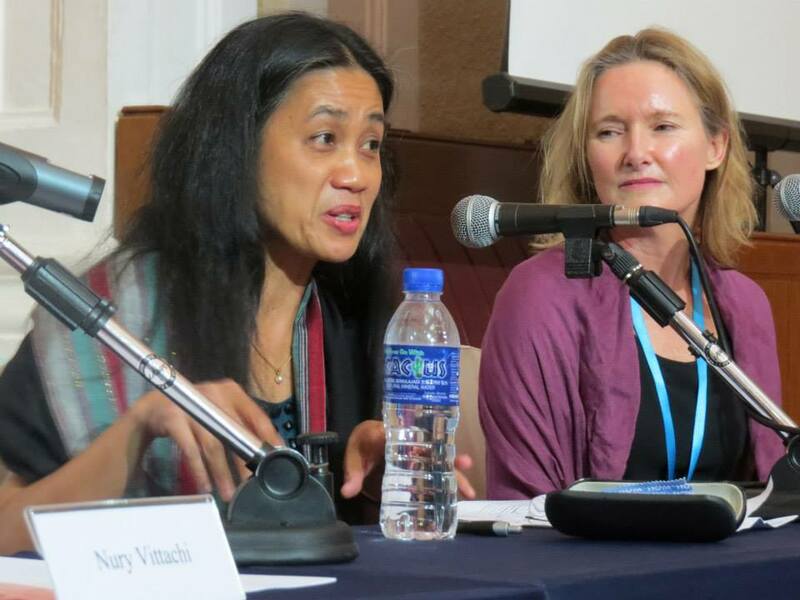 I was there for the Asia-Pacific Writers and Translators (AP Writers) annual conference. This was the first time I have been to one of their conferences, but I don’t think it will be the last. Mixing with such an eclectic and talented group of writers from around the region is highly addictive. The attached pictures were taken by Tim Tomlinson and show: Myself and Merlinda Bobis on the ‘Links and Fragments’ panel and the readers at the ‘Author Showcase’. Clockwise from top left: Renee Thorpe, Tony Birch, Qaisra Shahraz, Suchen Christine Lim, Menka Shivdasani, Marc Nair, Aaron Lee, Agnes Lam, Myself, Merlinda Bobis and Jane Camens. You can find out more about these writers here. The AP Writers Executive Director, Jane Camens, invited me to sit on a panel called Twisting the Truth: Truth in Fiction, Lies in Non-Fiction. Also on this panel were Aussies David Carlin and Liz Porter and Indian author Shreekumar Varma. I also felt privileged to chair a panel called Links and Fragments into Narrative Wholes. What can be done when a novel gets stuck? On this panel were Tim Tomlinson from New York, Nury Vittachi from Hong Kong and Filipino/Australian author Merlinda Bobis. Here are the hot tips: Tim says read around the topic, Nury says set yourself a deadline and Merlinda says dance! The readings at the conference were a definite highlight. They were so varied, like a meal of delicious morsels. It’s hard to pick favourites, but I did love Merlinda Bobis, putting her tip above into action with her one woman play based on her novel ‘Fishhair Woman’ which I have just read and loved. My friend Jessie Cole also read from her beautiful new book, ‘Deeper Water’ which is released on the 1st of August. 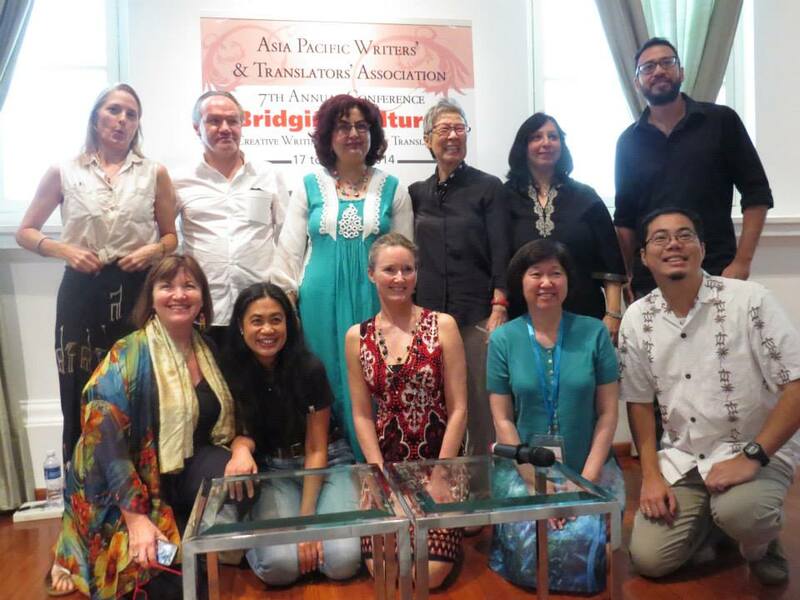 Discovering all these wonderful writers from the Asia-Pacific has been an amazing experience. If you are interested to learn more about AP Writers you can find them here. Their next conference is in Manila in 2015. A big thank you to Jane Camens for inviting me and to the Australia Council for the Arts for sponsoring my trip. You wouldn’t think changing a hotel’s name would cause such a stir. I knew that even if I lived to 100 I’d never be a local, but I hadn’t counted on becoming the town pariah in my old age. Not that I care. I can thank Kenneth’s sister’s son, Derek for the name. “These scones are fully sick Aunt Jean,” he said to me while tucking in to some afternoon tea after football training. Well, I saw red. I had him by the ear, before he could stutter out an explanation. The things they come up with. You have to laugh. But the name grew on me. I suppose you could say it was a bit of an ‘up yours’ to the ladies of the CWA. They wouldn’t have me on the committee because I’m from east of the Divide. Not that they said so, but I knew. The ‘Settlers Rest’ was Kenneth’s first love. And his last. You’d think it’d been in the family for generations, not knocked up in the sixties, the way he carried on about it. He’ll be turning in his grave now. I’m counting on him getting over it before we meet again. I always thought they looked nice though. I’d see them down at IGA, pondering over groceries in their foreign accents. It made me wonder what supermarkets were like where they came from, that they seemed to find ours so strange. Kenneth’s mother hasn’t spoken to me since the sign went up. Her loss. I’m quite proud of it, especially the smiling Buddha that Derek painted. He said that’s what they like and it seems to’ve worked. He’s a pretty talented kid, though his mother doesn’t think so. Kenneth was wrong about one thing. The traveling salesmen love my backpackers, particularly the girls. Dear little things they are, with their pierced noses and threadbare clothes. They probably like it here because I remind them of their grandmothers. I’ve been run off my feet since I got into Lonely Planet. Try Jean’s traditional Australian cooking, it said. Seems that not only are they exotic to me, I am exotic to them. My scones are their favorite. “Is this a spashal Orstaylian recipe ma’am?” a lovely American boy asked me. Got me thinking. I wouldn’t mind seeing a place where they don’t make scones. What do ladies bring to cake stalls in those countries? If I close my eyes I can picture them leaping out of a Cadillac in sunglasses and high heels with a plate of Pecan Pie in America. I can see them skiing down through the pine trees holding a steaming Apple Strudel in Austria. But what do the mothers do in Japan when the school needs to raise money? Hold a sushi stall? I asked one of the young Japanese girls. “Yes, yes, sushi,” she smiled and nodded. I’m not sure that we understood each other. The idea that there might be completely different ways of doing things wouldn’t leave me alone. Night after night I worried about it. If it wasn’t supermarkets in Sweden or petrol stations in Peru, it was toilets in Tokyo or ice-cream in Indonesia. Eventually I knew I’d have to find out for myself. I’ve sewn the Australian flag on my new backpack and I’m counting down the days. I can hear Kenneth turning in his grave right now. This short story was a winner in the ABC Regional Short Story Competition in 2005 and was read on ABC Radio National.